For more on this story, watch the SC Featured documentary, "A Mountain to Climb," here. On the first tee, smoke from the temple pyres hovers in the distance. No ropes are raised. No marshals ask for silence. No PA announcers, and no polite applause follows from the crowd. There isn't one. Just a few dozen people gathered in the damp morning, held by the same pursuit. She's the only woman here, at age 17, competing against 21 men, and all eyes are on her. Before stepping between the markers, before adjusting her posture, repeating her swing thought and settling for one last long breath, before drawing the driver back and uncoiling it to make first contact that will count toward the finish she so desperately needs, she looks straight out to the horizon. From the elevated first tee of the Royal Nepal Golf Club on the morning of Sept. 6, 2017, Pratima Sherpa sees it all: her mother and her father, her fear and her faith, her past and her future, her course and her country. On Day 1 of this qualifying tournament, as she tries to make history by becoming the first female golf professional in her country, she sees something else. 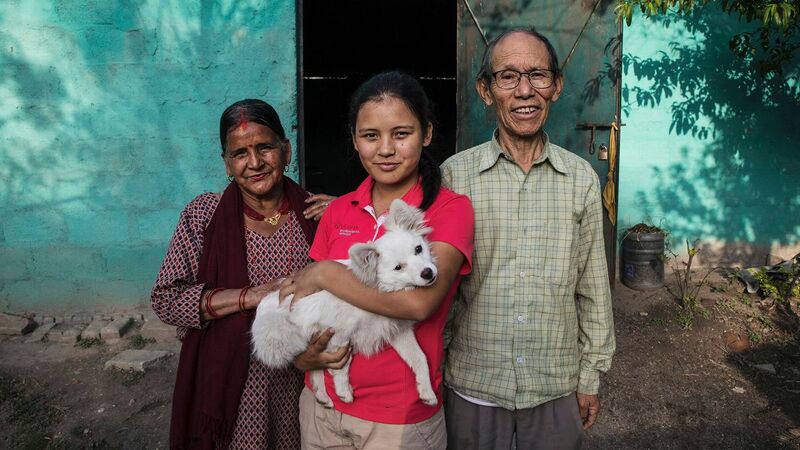 Pratima Sherpa lives with her parents in a maintenance shed on the Royal Nepal Golf Club. It's the only way into the shed. A shallow stone ramp rising from the dirt leads inside. Rakes and sickles, wheelbarrows and aging mowers used by the staff to maintain the grounds here, are stacked and stored, mute and dry, beneath the tin roof. The smell of grass drapes the air. Turn right inside the shed, walk a few paces across the stone floor and enter the other room. It's small. Not quite the size of some larger bathrooms in America, the space has two beds touching each other, a makeshift stove in the corner and a table. There is no running water. Against the far wall is a cabinet, and beside it a small table filled with keepsakes. The keepsakes all look the same. They are all trophies. They are all hers. This is home, every day. Even this day, when she will try to prove she's worthy of her own dream. This morning, Pratima wakes early to dress, have a small breakfast and receive best wishes from her parents. She then puts her golf bag across her shoulder and steps out the shed door and onto the biggest stage she's ever played on. The professional qualifying tournament, her country's version of qualifying school, or Q-school, is being held at Royal Nepal. The event is three rounds over three days. The top five finishers earn professional status. With success would come the chance to begin a career playing for earnings and sponsorship deals. This is the competition with the most essential stakes in the game: to become a golfing professional. Deepak Acharya, the general secretary of the Nepal Golf Association, helps oversee the tournament. He knows Pratima's game and her potential. "She has played with females, she has played with club golfers," he says before play begins. "But this time is going to be against the serious guys who want to become pro and want to earn money. "She might feel the pressure." Pratima exhales, lifts the club and steps forward. She's nervous, but she expected to be. "Golf is my passion. Golf is my best friend," she says, smiling. "So I cannot lose." The laborers tend to the greens by hand at the Royal Nepal Golf Club. That's the label they used to describe it. It was 1995 when Pratima's parents, mother Kalpana Tsering and father Pasang Sherpa, met as laborers at Royal Nepal, part of the staff maintaining its grounds. Among other duties, Pasang worked as a security guard keeping outsiders away, including wandering cattle, stray pigs and goats. Stray people too. Kalpana's work was more physical, tending the greens by hand. "I used to pluck grass and then do the dressing of the soil and fertilizer," she says in her native Nepalese. "There was no water pipe at the time. We had to carry the water, to irrigate the greens. It was difficult." Life was too. But easier, they found, with each other. A year after meeting, they married. In 1999, they had their only child together, a daughter. Her last name is Sherpa. Pasang was descended from the Tibetan tribe that populates the southern slopes of the Himalayas, a people renowned across the world for their strength and skills in mountaineering. Sherpas are widely regarded as the best climbers on earth. The girl's given name was Pratima. Roughly translated, it means Icon or Idol. The name would become her mission. From the time she was 2 months old, the course became her cradle. Pratima spent more time at Royal Nepal than anyplace else. Making a combined salary at the time of roughly 2,000 Nepalese rupees a month, just $19, her parents took alternating shifts at the course, each tending to the baby as soon as work ended. "She used to come with us every day," Kalpana says. "If I was working early in the morning, her dad used to bring her, and when he had morning duty, I used to bring her." By the time Pratima was 5, the family was struggling to pay for its city apartment. On the verge of homelessness, the club offered a solution. They could move into the cinder block shed sunk into the low ground between the third and fourth holes. "That's actually a storeroom to keep vehicles and other instruments," says Noren Rai, a club official. "But they have been given that so that those things we own are safe." "The shed is my lucky house. Because, if I don't live there, I cannot play golf." The small subdivide of the shed, where the family eats and sleeps, measures less than 200 square feet. Sitting in his customary hunch on the ramp outside the shed door, Pasang describes his home in plainest terms. 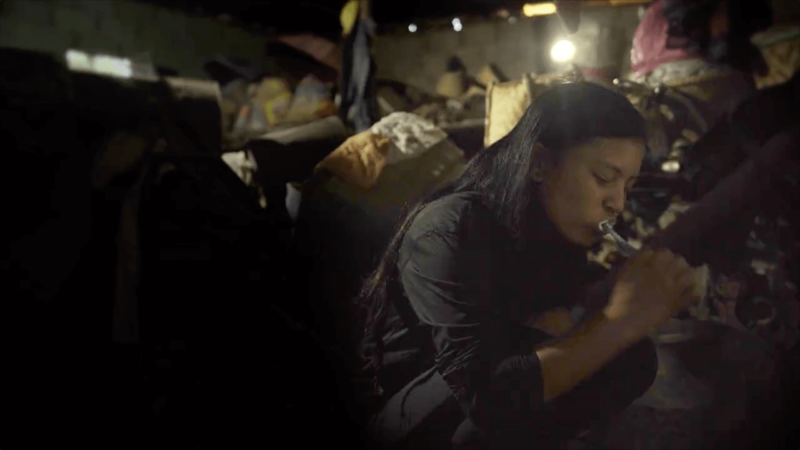 "People may question, 'How are they living in these poor conditions?'" He pauses. "But ... there's not much I can do to change this. If I had money, I would have done many things. In reality, I don't have much money, and I can't do much. That feeling -- the regret, or worse, shame -- is dismissed by his daughter. "The shed is my lucky house," Pratima says. "Because if I don't live there, I cannot play golf. "That's why I feel lucky." 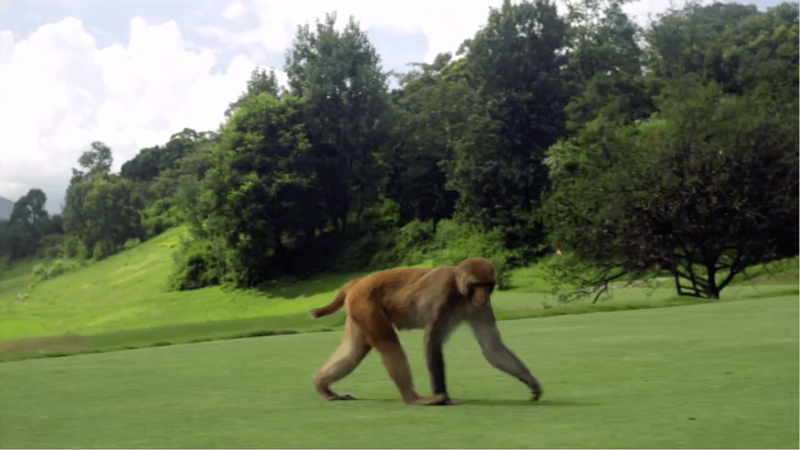 Monkeys often roam the course at the Royal Nepal Golf Club. 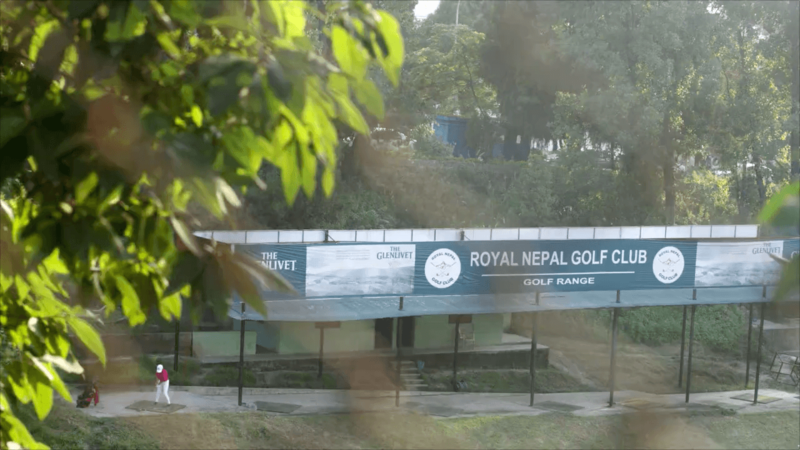 Founded in 1917, the Royal Nepal Golf Club exists now behind barbed wire in contrast to Kathmandu's sprawling chaos. A scorecard can't count its idiosyncrasies. Players here prefer used, dull golf balls. Newer, brighter ones tend to be confused with eggs and confiscated by the packs of monkeys that roam the course. The fifth and sixth holes share property with the Hindu temple known as Pashupatinath -- the cremation fires from its grounds secrete a smoky haze floating above the fairways. The course, among a handful of others in Nepal, drew Oliver Horovitz here in 2016 to write a magazine article about golf in Nepal. Horovitz was raised in New York City but studied at the University of St. Andrews in Scotland, where he fell in love with golf and its characters and stories while caddying at St. Andrews. Arriving on the grounds, speaking with the club's proud members, he found the conversation winding its way to a single player. Not Tiger Woods or Rory McIlroy. Not to a club champion. 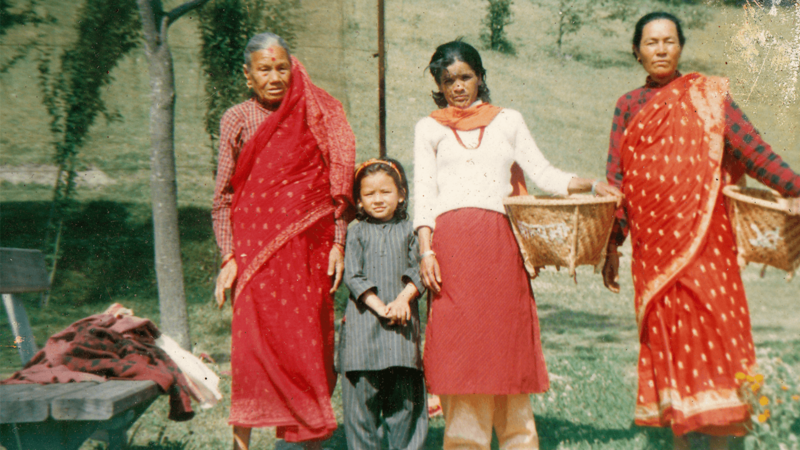 "They said you have to meet this girl, Pratima Sherpa," Horovitz recalls. "She's the best female golfer in Nepal." Two club members introduced them, and in short order, Horovitz asked whether he could caddie for Pratima during a nine-hole round on the course. "I pick up her bag and we go," he says. "Instantly I knew she's got game." After the round and a visit to the shed where he saw how the family lived, Horovitz returned home, determined to help Pratima pursue her dream. He set up a fundraising website to share her story, seeking donors to contribute toward her goal to become the first female pro in her country. He also wrote about Pratima for Golf Digest. Tiger would see the piece and send a letter of encouragement to her in care of the club. Still, she can't believe that the letter found her, that the most famous golfer in the world would write to her. "He believes in my game," she says, smiling, holding the letter in front of her. She keeps it in the cabinet behind all her trophies. It is the only framed object in the shed. Woods wasn't the only one who would offer encouragement. • What's wrong with golfing prodigy Lydia Ko? • For the best of SC Featured, visit the ESPN App and ESPN+. The Montano family of Ventura, California, learned about Pratima's story partly through Horovitz's website and from their daughter, Sophia, who spent a semester studying in Nepal. They wanted to help and made an offer for Pratima to travel to the U.S. for the summer, living, practicing and playing in the States. She accepted, and in July 2017, she left her home and her country for the first time. Her mother cried. "She is our only daughter," Pasang says. "It is a mother's heart after all." Pratima arrived in the U.S. 7,850 miles later. With her host parents, Mike and Tanya, and Sophia, a former college golfer, the new visitor did more than play. From her first morning there, she awakened to a different life. The Montano family house has three bedrooms, with a back patio overlooking the foothills. "In America, there are lots of rooms," Pratima says. "And the bathroom is very big." The family organized an aggressive tournament schedule for her, with competitions essentially every week of her stay. It was her first time playing on pristine parkland courses with manicured and slippery greens. At times, the terrain felt lunar in its differences from Royal Nepal. With little time to adjust to the contrasts, Pratima entered five regional junior tournaments in California. 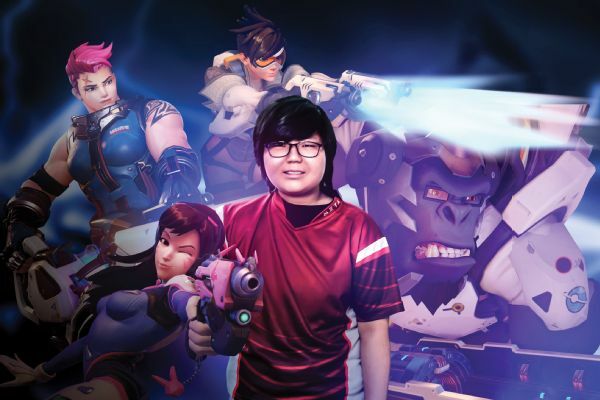 "When I played the first tournament, I was very nervous," she says. "Later on, I got good experience and got more comfortable." Of the five tournaments she entered during her month's stay, she would finish first in one and tied for third in another. Her low round in America is 73. "She beats women that are going to college next year to play D-I college golf," Horovitz says. "The trip to the U.S. helped her game a lot." Off the course, the trip contained so much more, moments with the Montanos she had never imagined. She tasted ice cream, learned to ride a bike, swam in the ocean and woke up in her own room. All firsts in her life. After 35 days in California, as she prepared to leave, her host family threw a party in her honor. At one point, Tanya asked all to raise a glass. She smiled, her arms around Pratima as her voice choked back the emotion. "We found a beautiful girl that we instantly loved," she said, as Pratima buried her face in Tanya's shoulder. "You will always have a home here." "Cheers to the future," Tanya said. Pratima cried in her arms. She was going back home to the shed, to her family. And to play in the most important tournament of her life. Pratima experiences several firsts with the Montano family in California, including learning to ride a bike. She doesn't lose on Day 1 of the tournament, but she struggles. The time spent in America, while invaluable in the experience and perspective, has an unintended effect. Hitting from the men's tees, consistently driving as far as the other male competitors, her ball-striking is solid and powerful. But she can't find her touch on Royal Nepal's greens. The surfaces here are vastly different from the ones in California, more uneven and far slower as a result of monsoons. Time and again, the ball fails to reach the hole. The three-putts begin to mount. At one point, on the ninth green, caddie Krishna Nepal is blunt. "You didn't even hit it," he tells her, and after a pause adds, "the putting is really weak." By the end of the day, the greens prove the difference. Pratima shoots 79, her highest score on Royal Nepal in more than six months. She is in 10th place and already in danger of falling out of contention for one of the final five spots. She returns to the shed after the round, planning to practice on the green outside, trying to find the stroke she'll need. Her mother knows she's also trying to handle the disappointment, which spills out when night comes. "She cried a lot," Kalpana says. "She received her training in America, but she didn't hit the ball very well." Pasang Sherpa whittles a golf club for his daughter, Pratima. The roof of the world at 29,029 feet, Mount Everest is Nepal's source of identity while also serving as its spiritual touchstone. About 100 miles away, and more than 4½ miles in descent, lies Kathmandu. A quarter to a third of its 1.3 million residents live below the poverty line. The average Nepali income nearly doubled in the last decade, to just $862 a year. No segment of the population faces hardship more than Nepal's women. Subject to lower wages, fewer jobs, no property rights and less access to higher education, they form the city's economic underclass. So even with the golf course right outside their door, the family never considered that Pratima might want to play the game. "In Nepal ... very few women play golf," Pasang says. "This game is for wealthy, well-to-do people. It wasn't meant for us." But Pratima saw club members nearly every day walking across her playground, taking their swings across her yard. By the time she was 11, she gave voice to what she had long known -- she wanted to play the game too. When she asked her father for a golf club, Pasang didn't walk to the clubhouse to ask. Instead, he went to the far border of the course -- to the jungle. 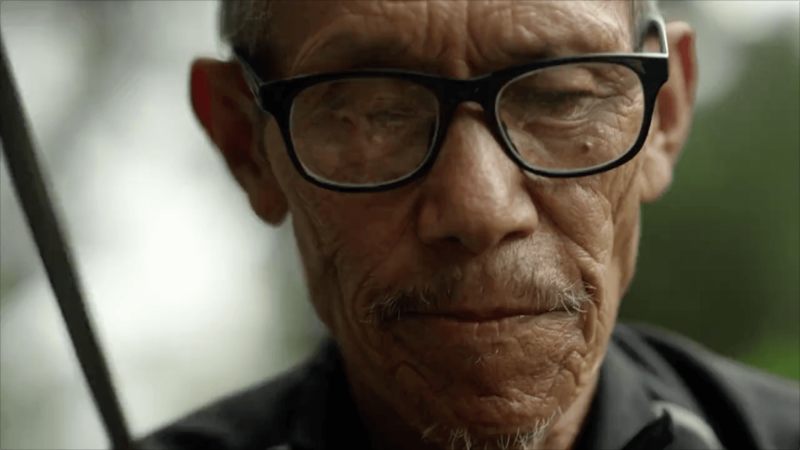 "I went out to find a piece of wood," Pasang recalls. "And I climbed the tree and cut off a piece of branch." With his knife, he whittled it into what he thought the best shape would be to answer his daughter's wish. And with the wooden club she played. Every day and every chance she had. She used stray balls from the range, playing early in the mornings after she had fed the family's goats and chickens. And from the beginning, from the first time she gripped the wooden stick, she knew. As she began to share rounds with adults and members, Pratima became a favorite topic of club conversation. Her father heard it. Where might the swing lead his daughter? Into places where the family didn't belong? Where his daughter wouldn't truly be welcomed? "I told her to stop," Pasang says. "I told her to study." She listened and understood. But she didn't stop. Pratima has a strong session on the range before play begins on Day 2 of the tournament, but ball striking isn't the issue. Neither is distance or accuracy with the longer clubs. Without making putts, there is no way to make scores. Again, when the putts don't fall, she begins to press harder on the second nine of her round. At one point, her caddie says aloud what they're both thinking. "There's just no luck today." "Isn't it amazing?" she says in reply. "Things were so different in practice ..."
The only consolation comes in how the rest of the field plays. No one goes low, the scoring average rises. By the end of the round, Pratima has climbed up one spot, to ninth. She's still four places out of the final qualifying spot with just one day remaining. After watching her play, Pasang walks with Pratima back down the hill from the clubhouse as they make their way back home. "It's getting more challenging," she tells her father. "I don't know how it will end." Pasang doesn't break stride. He knows the stakes for his daughter, sees all she has put into the pursuit, and offers a father's view. "It doesn't matter how it ends," he says as they walk. "We tried our best. If we did not do well, then there's no point regretting it. "Many people come here to climb the mountains and don't succeed." 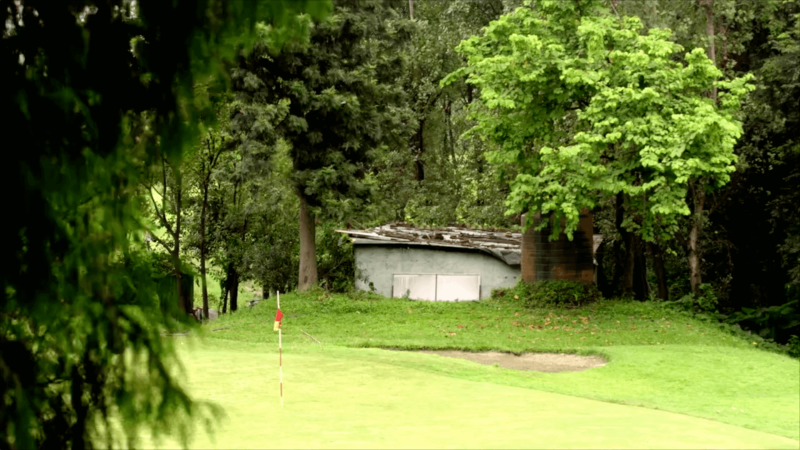 Pratima's shed is tucked behind the third green of the club. At 11 years old, her swing caught his eye. It was a junior clinic, and the club's teaching professional, Sachin Bhattarai, knew she was different. "It's her passion," he says. "Her passion made her special from the others." It was the swing too. Blasting balls off the dusty, worn mats. But it was also the smile -- the joy radiating from her with every strike. With help from the members, Bhattarai got Pratima some used clubs, a carry bag, a supply of balls and lessons he would provide. They were more than gifts. The girl from the shed was getting her tools. Just a few months later, Pratima entered her first tournament, playing against 30 competitors. She won. "When she came back with the trophy for the first time, I could not hold back my tears," her mother says. "Those were the tears of happiness." By the time she turned 17, Pratima had won 33 tournaments. With each win, whether playing at Royal Nepal, at courses across the city, in international events or during a stretch in 2016 when she won seven of nine tournaments she entered, including competitions against boys, she carried a trophy back home. She would present it to her parents, then place it in the cabinet or on the table in the shed. Together, they formed a humble gallery, a small museum. Pasang sees them every day and knows he will need to find more space for the ones to come. He's glad she didn't listen when she was 11. "It's Pratima winning every tournament," her father says. "People used to say that the trophies should be handed directly to her before their completion." The taut frame of his body shakes with laughter. On her way outside to practice and play, Pratima sees them too. "When I'm alone in my home, I see the trophies and I feel my accomplishments," she says. "And I make a plan for the future." For Kalpana, 61, and Pasang, 64, what's to come is unclear. They don't know how much longer they will be able to work for the club or be permitted to stay in the shed. "Now there are rumors they are going to take this shed down," Kalpana says with worry. "I wish we have a house of our own, even if it was small, somewhere we could just hide ourselves inside." Last year Kalpana and Pasang made 150,000 Nepalese rupees total, a combined salary of $1,443. While club members have supported Pratima in nearly every golf pursuit, from getting her proper clubs to helping with travel to letting her use the course, her family still lives on the edge of subsistence. 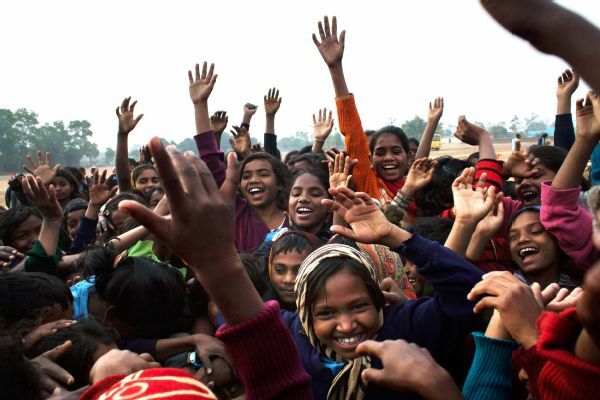 Now 18, Pratima knows enough of the world to understand the life her family has never had. For all they share, she understands what they lack. "My mom and dad, they are getting older, day by day," she says. "And my responsibility is to take care of them." So in the long hours beating balls on the range, through the training runs and self-taught stretching routines each morning, during the chipping sessions and putting drills in the monsoon rains, she has forged a greater determination and a clear goal. "I want to be the first ladies golf professional in Nepal," she says. And for a moment the smile fades just a touch. "I know it is very difficult, but it is not impossible." Pratima hits balls on the range. Whether it was an adjustment to the greens, an embrace of the pressure, an elusive swing thought or some combination, Pratima performs well on the third and final day of the tournament. She plays more to her own expectation, her game more complete from tee to green. Most important, she makes putts. But it's not enough. Even though she shoots 75, her lowest score of the three days, she finishes ninth overall. Four places from earning professional status. From changing her family's life. From making history. Outside the clubhouse, during the trophy presentation, all the competitors line up to salute her. Acharya speaks through a small PA to all gathered around the practice green. "I would like to recognize the efforts made by our only lady participant of the tournament," he announces and beckons her forward. "Pratima ..."
She steps toward him and bows her head as Ghanashyam Thapa, the first professional golfer in the history of Nepal, places a wreath of flowers around her neck and presents her with a red scarf. Her forehead and cheeks are marked with tika, a vermillion powder and paste worn during rites of passage. The other golfers applaud. Her face shines. It will be a year until the next qualifying tournament in Nepal. The players and club officials return to the city's maw, and Pratima makes her way back down the hill. The monkeys roam the fairways, the smoke from the Hindu temple still rises into the sky. And then, two hours later, there is a sound. A repetitive beat, of metal striking. Of club meeting ball. Contact. Pause. Contact. Pause. Contact. Until all the balls are gone from all the buckets. She is here. Trying. Swinging. Dreaming. ESPN producer Kristen Lappas directed "A Mountain to Climb," an SC Featured documentary that premieres in the short documentary category at the Tribeca Film Festival. Tom Rinaldi was the screenwriter, Thom McCallum and Vin Guglielmina were cinematographers. Men dominate esports. Can a Korean girl change that?